The man accused of shooting and killing a Northern California police officer the day after Christmas has been charged with murder, according to court documents. Officer Ronil Singh of the Newman Police Department, California, is pictured in this undated photo released by Merced Police Department. Arriaga, an undocumented immigrant, was arrested Friday and placed in Singh’s handcuffs after law enforcement surrounded a home in Bakersfield, California, about 200 miles south of Stanislaus County. He had tried to flee to Mexico after the shooting, Stanislaus County Sheriff Adam Christianson said after his arrest. During his arraignment Wednesday, Arriaga told the judge that his real name is Paulo Virgen Mendoza and that Gustavo Perez Arriaga is just one of his aliases, ABC San Francisco station KGO reported. At least three aliases were listed on Arriaga’s criminal complaint, and authorities have said that he also used several different names on social media. Authorities also say that he has known gang affiliations. Seven people, including two of Arriaga’s brothers, a woman described as his girlfriend and one of his coworkers, have been arrested for either misleading authorities about his whereabouts or aiding him in evading capture. Arriaga crossed into Arizona from Mexico a couple of years ago and had been working as a farm laborer in California’s Central Valley, Christianson said. He has two prior DUI arrests, authorities said. Christianson blamed California’s newly enacted “sanctuary state” law, SB 54, passed in October in response to President Donald Trump’s immigration policies, for prohibiting law enforcement in the state from reporting Arriaga as a “criminal illegal alien,” to U.S. Immigration and Customs Enforcement. 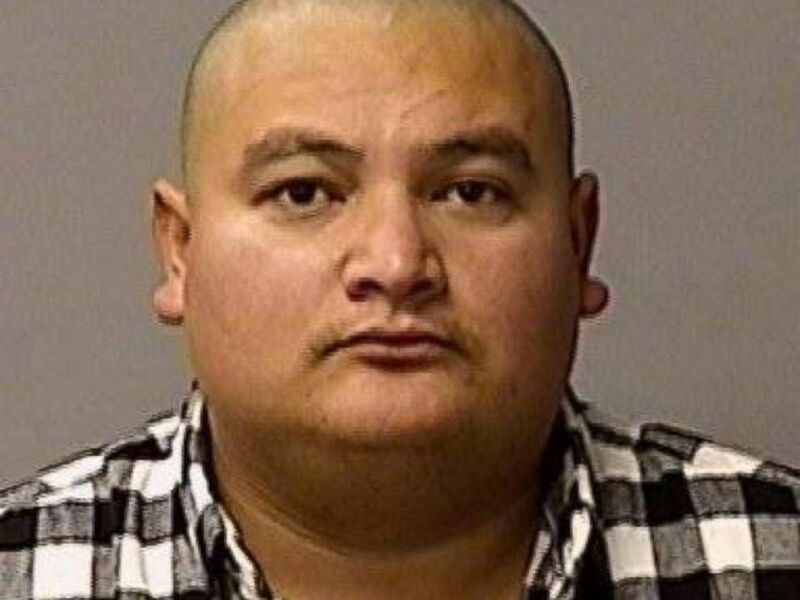 Gustavo Perez Arriaga, , who is accused of gunning down a Northern California police officer was taken into custody Friday, Dec. 28, in Bakersfield, CA. following a massive manhunt, officials said. 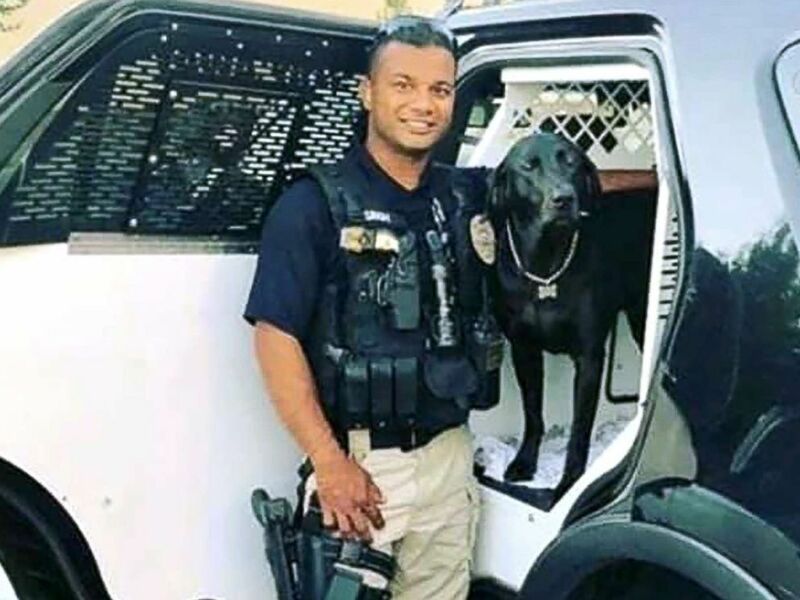 Singh, originally from Fiji, had been with the Newman Police Department since July 2011 and had previously worked at the Merced County Sheriff’s Department, California Gov. Jerry Brown said in a statement. He is survived by his wife and a 5-month-old son. Arriaga’s public defender, Dan Martin, did not immediately return ABC News’ request for comment. ABC News’ Bill Hutchinson, Emily Shapiro and Gina Sunseri contributed to this report.